In places like South Sudan, Syria and Congo failed peace pacts have devastating consequences. 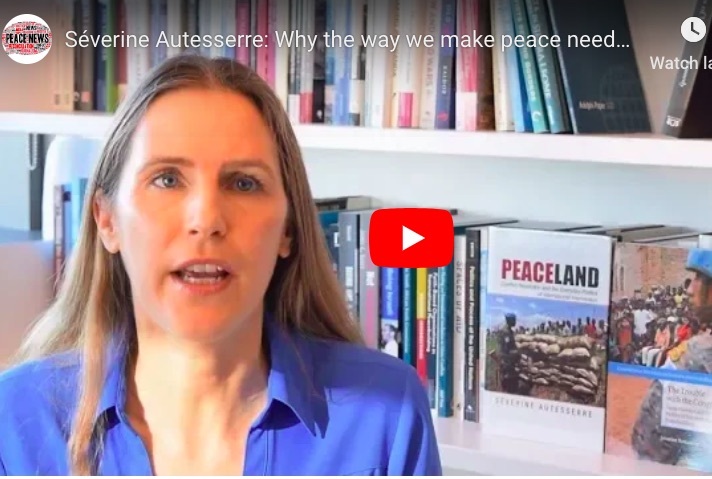 Now, renowned author Séverine Autesserre is writing a new book [“On the frontlines of peace”] that focuses on a different approach to peace than traditional high-level negotiations: ‘peace from below’. And where it’s working. “Peace from below is peace built by ordinary people, people like you and me,” Dr Autesserre, a professor of Political Science at Barnard College, Columbia University, said. Just one peace summit, arranged at a national or international level can cost millions, so why aren’t the big negotiations working? But Dr Autesserre explained that lasting peace requires both these top-down and ground-up approaches. “It’s, again, the involvement of ordinary people and local leaders,” she said.